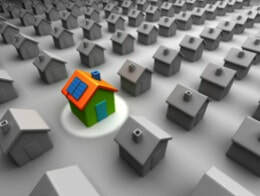 Before you can fix in-home energy problems you have to diagnose in-home energy problems. 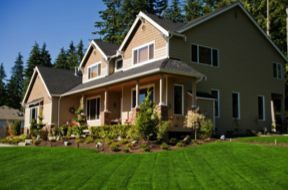 With Climate Design's Whole House Energy Audit & Comfort Checkup, we can pinpoint existing issues and give you a prioritized list of solutions. These solutions not only cover your heating and cooling systems, but also your windows and doors, insulation, and much, much more. Are you looking for the most comfortable system on the market today? But, at the same time looking for a system that will pay you money on your utility bill? 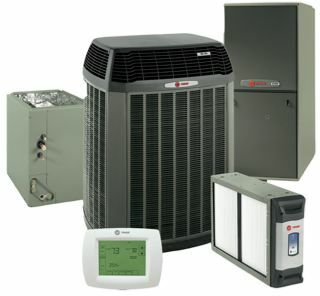 Then take a look at a hybrid system from Trane. It can save you up to 59% on your energy bill, while providing you with superior comfort throughout your home no matter what the season. As the costs of oil, natural gas and electricity to fuel conventional heating & cooling systems rise, homeowners are increasingly installing heat pumps. By extracting warmth & coolness from the outside air or ground, heat pumps can provide greater efficiency & lower cost over the long haul. Two basic options predominate. In air-to-air designs, a unit outside the house relies on air as a source of heat or a place to dump heat. In ground-based designs, fluid in tubes laid in the ground provides the heat transfer. In each case, a refrigerant travels in pipes from outdoors to an inside unit, and a blower sends the resulting warmed or cooled air through ductwork into various rooms. The systems are often likened to a reversible air conditioner that can stream cool air or exhaust warm air throughout the home. “When the season changes, you just flip a switch & the flow reverses,” says Leo Udee, account manager at Alliant Energy in Madison, Wis. Even though both systems require electricity, they can attain greater efficiency than conventional designs because instead of consuming fuel to generate warmth or coolness from scratch they exploit heat or cold already present in the outside air or ground. Air-to-air systems are most effective when outdoor air is above 32 to 35 degrees Fahrenheit, however, so they are prevalent in the milder regions of the U.S. A small conventional heater can be added in colder climates, but that drives up cost. Ground-based systems with tubes installed six to eight feet below grade are useful in wider areas because the temperature of the earth does not dip below freezing at that depth, although they generally cost more to install. The ultimate in heating and comfort technology, Trane's XC95 gives homeowner's superior energy savings, comfort, and peace of mind. 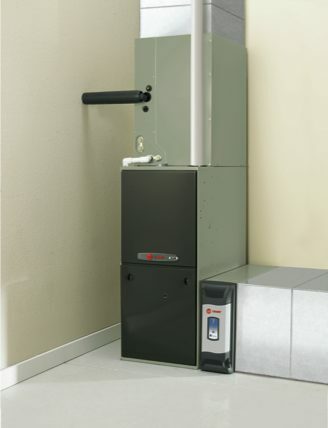 The XC95 is a 3-stage system with a variable speed blower fan and is up to 95% efficient, easily qualifying it as the most energy efficient, high performance furnace on the market today. But that's not all this furnace can do. With computerized technology, the XC95 displays a digital readout giving the homeowner information about not only when it's due for maintenance or repairs, but also what specific problems it is experiencing. It is also compatible with internet capabilities allowing you to control the system remotely as well as contacting your HVAC provider for you in an emergency. There is no other system like it...period. Join Climate Design in making our world a cleaner, and greener place to live. Let us help you discover solutions for your home to minimize your carbon footprint and protect the environment for future generations to enjoy. We are dedicated to providing our customers with cutting-edge, energy-saving products that not only make the air outside less polluted, but help keep the air inside clean and healthy for your entire family. It's easy being green...let Climate Design show you how.